Manufacturer of a wide range of products which include copper slate ledge stone panels, deoli green slate ledge stone, golden slate ledge stone panels, jack black slate ledge stone, mint sandstone ledge stones panels and mint sandstone v shape wall cladding. In the series of our products, we are engaged in offering a wide range of Copper Slate Ledge Stone Panels to meet the demands of our clients. 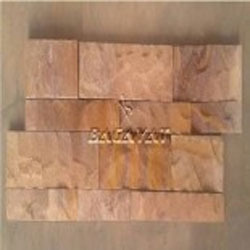 It is also known as Copper Quartzite Wall cladding panels. These products are well equipped and are highly appreciated by our customers. All these products are sturdily constructed and are compact in design. These are easy to install and are resistant to abrasion. 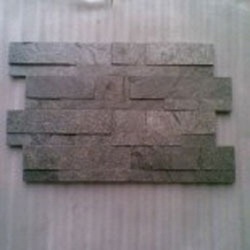 We are manufacturer of Deoli Green Slate Ledge Stone wall panels. It is considered as one of the most demanded items by our esteemed clients, as we are engaged in offering these decorations at affordable rates. This material is also known as Deoli Green Quartzite Wall Panels. These products add beauty to the place in and are highly demanded by our customers. All these products are available in different shapes and designs. We are a highly acclaimed company that offers a wide range of Golden Slate Ledge Stone. 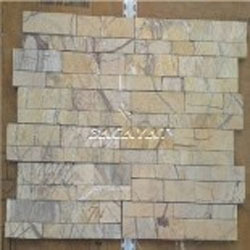 This is also known as Golden Quartzite Ledge stones which can be relied on as they are long lasting and with that these are very attractive in their appearance. Their finishing has been done with utmost accuracy that makes them highly durable. Furthermore, we are offering these items at economical rates and in different specifications as per the needs of our clients. 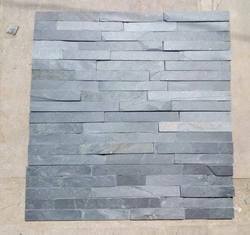 We are manufacturer of Jack Black Slate Ledge Stone wall panels. Backed by the team of experts and qualified professionals, we are engaged in offering a wide range of Jack Black Slate Ledge Stone to meet the needs of our customers. Our products are well equipped and resistant to corrosion and moisture. Easy installation and durability are some of the main features of these products. Last but not the least, we are offering these products at market-leading rates. 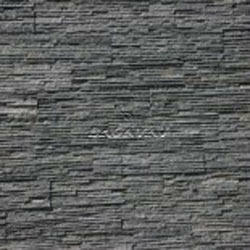 We are involved in manufacturing of Sandstone & Slate wall cladding panels. The small pieces of natural stones are bonded together on mesh to create a highly textural, inter-locking, undulating form. 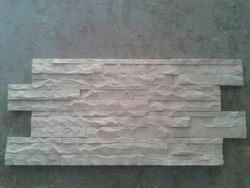 These sandstone wall panels are used in various applications, from commercial to home decorations. 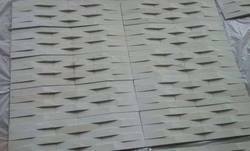 We are manufacturer & Supplier of Sandstone wall panels in various shapes & designs. Mint V Shape wall panels are very attractive for all kind of wall applications in interior & exterior. We are known us as a promising company, we are engaged in manufacturing of an exquisite range of Silver Grey Slate Ledge Stone Panels to meet the needs of our customers. It is also known as Silver Grey Quartzite Wall Panels made up of high quality material are highly durable and are anti-corrosive as well. Accurate dimensions, perfect finish and unmatched quality are considered as some of the main features of these products. As we are considered one of the prime companies, our company is engaged in offering a quality range of Black Slate Ledge Stone to meet the needs of our customers. High end technologies and modern machines are used while designing these products. These products are well equipped and are widely appraised by the clients all over the countries. According to the needs and demands of our clients, we offer a wide range of Marble Ledge Stone all over the world, Rain Forest Marble Ledge Stone is one of them. These products are widely admired for their perfect finishing and durability. All these products are dimensionally accurate and are easily fixed as per the needs of our customers. 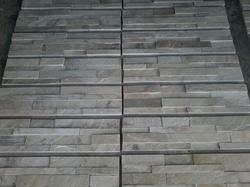 we are manufacturer of Rainbow Sandstone Ledge Stone Panels in various finishes. These wall panels are easy to use and require low maintenance and care.